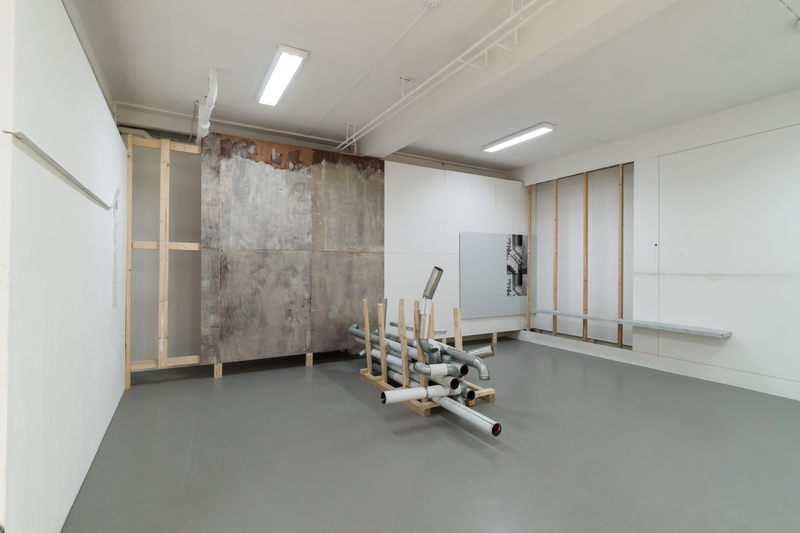 All We Can Do Is What We Are Actually Doing Already was the encompassing title for a series of three solo exhibitions by Scott Joseph, duo Miks Mitrevics & Kristine Kursiša and Chaim van Luit. Its aim was to focus on the actual starting point of the artistic process; the instant or moment when something catches one’s attention while walking, travelling or scavenging, not looking for anything specific. These artists show that the ordinary has a capacity to reveal itself as something extraordinary and articulate something that also has the capacity to be processed and transformed into a new visual narrative. Further contributions were made by artist Frank Koolen and writer Marianna Maruyama, who were invited to reflect on the series. Koolen, in his function as moderator, undertook a simultaneous one hour walk together with the artists, taking place in Amsterdam, London, Riga and Brussels, resulting in four posters. Maruyama wrote an accompanying text to each exhibition for this publication. Publication: All we can do is what we are actually doing already, P/////AKT, 2015. The publication of this series consists of a pamphlet with texts by Marianna Maruyama and a 4 posters folder curated by Frank Koolen. More information about the publication here.